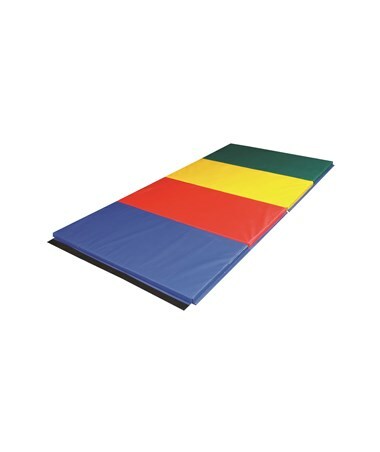 CanDo Accordion Exercise Mat - 1-3/8" Pe Foam w/ Rainbow Colors has a hard feel which is perfect for most strenuous exercises whether it's in the gym, school or clinic. It's extra durable and doesn't take up a lot of space when stored. 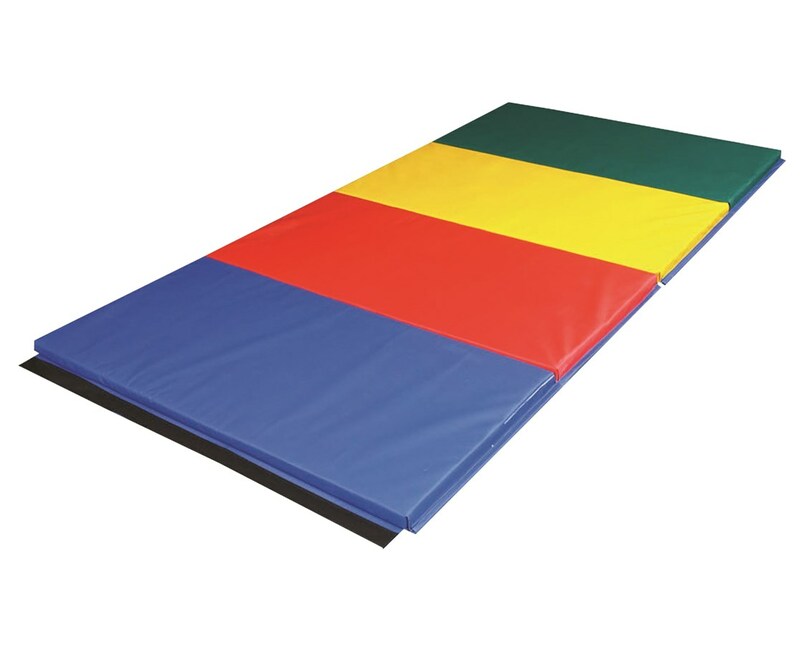 It safely expands to enlarge its surface area by connecting to other mats using its Velcro ends. This exercise accordion mat has square side walls that are reinforced on all stress points. It won't easily unravel or break even when used in strenuous and tough exercises. It features a vinyl coated nylon for extra durability. The foam mat is mildew resistant and anti-bacterial. Compared with most exercise mats, it has less chances of harboring bacteria which can cause health threats to users. In addition to that, the mat also has a fire-retardant vinyl cover. The foam mat cleans easily with just a damp cloth. There's no need to completely wash it off just to get rid of dirt and bacteria. When it comes to storage, the mat doesn't take up a lot of space. Since it folds every 2 feet, it only requires minimal storage space when not in use.